The AMMT (Anjool Maldé Memorial Trust) takes great pleasure in announcing the 2017 winners of its Talent Awards – given to the brightest and best among the UK’s young graduates. Set up in 2010 as a legacy to Anjool Maldé (Jools to his friends, 7-7-1984 to 5-7-2009) the Trust makes annual awards with prize money and showcases winners’ achievements as an inspiration to others who follow. The Trust takes great delight in announcing this new award for 2018, carrying generous prize money. 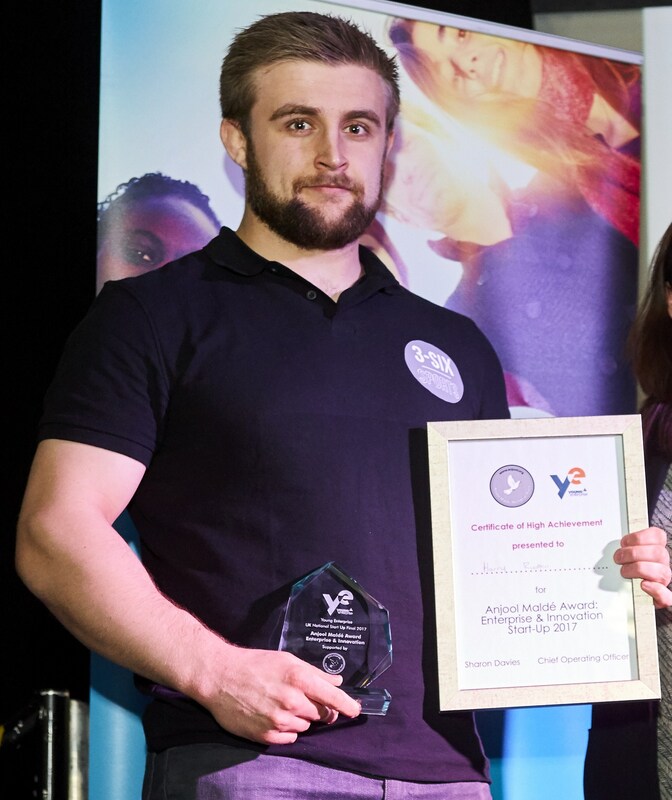 Raising IT CEO, Tom Latchford said: "Raising IT is delighted to sponsor this new award to be presented to an outstanding young social entrepreneur creating a business with the clear aim of doing social good. We are excited to partner the Trust in encouraging and supporting young entrepreneurs to follow Jools' ethos of “do good, do well”. Tom's own story is an inspiring one. He and Anjool were friends from university, and Anjool provided great encouragement and support to Tom in his early career. Anjool’s success as an entrepreneur, as well as his generosity, inspired Tom to launch Raising IT in July 2009 – an organisation dedicated to raising money for good causes. Raising IT is now the market leader for charity websites and fundraising tools in the UK, raising millions for hundreds of top charities. Yanita excelled in her journalism degree across all sectors and media with coverage that spanned political, health, social and religious. Of her many achievements was a radio documentary on a religious cult - https://soundcloud.com/yanita-georgieva-888810345/full-moon-a-documentary . The examiners rated this as ‘hugely original and engaging…drawing upon an impressive accumulation of sources - a triumph and a terrific piece of work. A particular strength is the script and the programme is beautifully recorded, edited and mixed.'’. Now working for the BBC World Service, multilingual Yanita – with six languages - responded to the news of her winning with: "This award is as humbling as it is unexpected. Journalism is the reason I get up every morning, so this award is an incredible honour. The need for independent, sharp reporting has never been greater and I feel proud to be part of this industry." PHOTOGRAPHY (co-hosts Stockton Council and the Cleveland College of Art & Design). Danny’s citation read: “Danny is a very talented conceptual photographer with an incredible passion for the subjects that he surveys. His work is a personal metaphor and poetic/visual response to a medical condition that he has had to deal with for a great part of his life. It is both brave and challenging. Equally important is the stark and strident beauty of this work and its eloquent and sophisticated presentation.” Danny: “ To find out I had been chosen for this Award was indeed surprising and generous too! Considering the very personal perspective portrayed within my work I felt very flattered, and is an affirmation of the hard work put into this major project”.